The 1970 Pontiac Firebird received a complete restyling. To many Pontiac fans this was the sign of changing times. The newly styled car was a beatiful shape that would be with Pontiac for the next eleven years. On the outside this car featured bulging curves and a sloping rear window that made the car appear extremely sporty and aggresive. The Trans Am model included large front and rear spoilers and a fender vents. Combined with an aggressive handling and drivetrain package, this created a memorable and powerful muscle car. Under the hood of the Firebird were several optional 400cid motors with a base level of 345hp. However, an available 370hp motor was a simple upgrade. 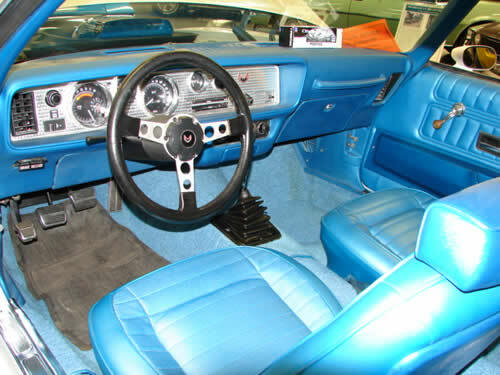 All Trans Am's included a rear facing scoop which directed cool air directly into the tuned port motors. Available transmissions included the 3 speed Turbo Hydramatic automatic for four speed with the Hurst shifter. The suspension on Trans Am's was upgraded to include massive torsion bars, heavy duty disc/drum brakes, and quick ratio steering. On the inside, the Firebird was all business. This featured the famous diamond finished dash and racing steering wheel. The seats were heavily supported and the door panels featured rich stitching. 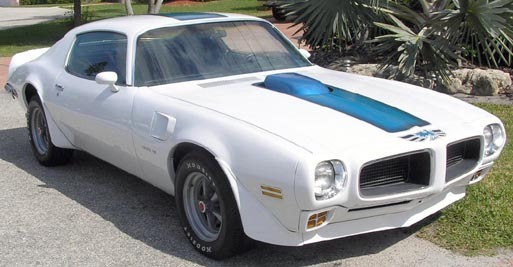 Still available was the Firebird 400 model which carried a twin scoop hood treatment and a 335hp motor arrangement.